← Yarn Diets Are Like Food Diets…Just A Suggestion! 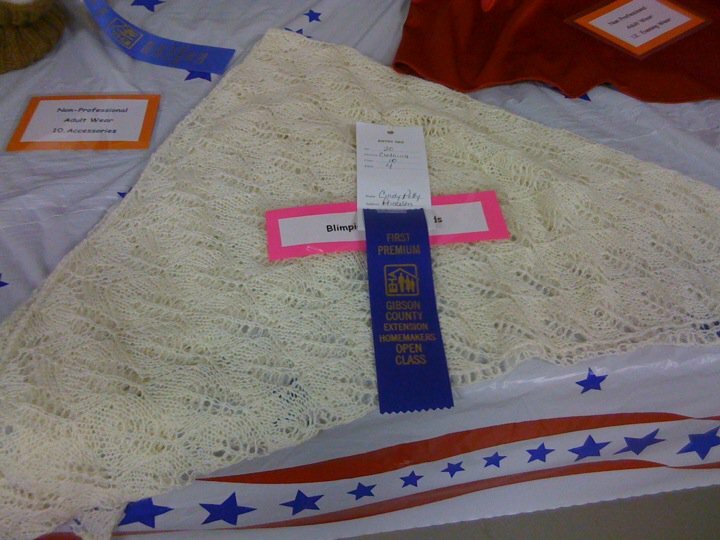 This entry was posted in knitting and tagged blanket, fair, knit, ribbons, socks. Bookmark the permalink. Love the watermelon socks – very clever! You’ve given me something to aim for as I embark on my very first sock knitting adventure. Thanks for the link. I’ll see how my first attempt at socks turns out and then I may have to give the watermelon ones a go! Good luck! I teach sock knitting so if you lived close enough, I’d be happy to teach you! Thanks for the offer but I think the Atlantic may be in the way!